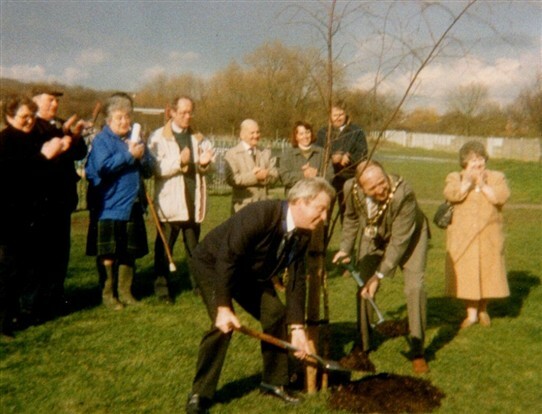 The above photo is of the opening of Magnolia Park Nature Reserve in Hawkwell, it is undated. Can anyone tell me when the park opened and who planted the tree? 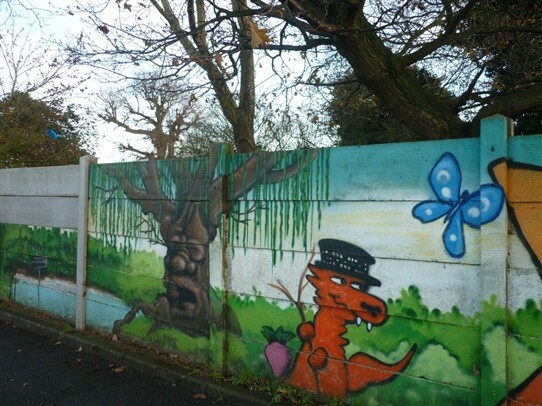 I visited the park a few weeks ago, the car park is cheerful with brightly coloured murals to make you smile. The nature reserve is a lovely place, with a lake, woodland walks, songbirds and squirrels, and peace and quiet. The park is built on Magnolia Park, the old brickworks. Back in the 60s I remember that Magnolia Road led to dog boarding kennels and Magnolia paintworks. Can anyone remember what else was there? This gallery was added by Mave Sipple on 08/01/2015. Sue, you are quite right about the moulding company. It was called Magnolia Mouldings Ltd. I worked there for a while back in the mid 60's - about 1967 or thereabouts. They did as you say, move to Purdy's estate later on. We used to make all sorts of picture frame mouldings from lots of many different wood species. The wood used to be delivered untreated and in plank form. It was then sorted, stacked and then dried in a large kiln. When it had baked for the required time, it went into the workshop for sawing, planing and then to various cutting machines. Once cut to required design, it was taken across to the other unit for making the frames etc and packing for distribution. I worked outside in the open yard for a time before getting a better job inside the main building working on various machines. Mike Handford was clearly the Chairman of the District Council at the time, he is wearing the chain of office and wielding a spade... Cllr Heather Glynn (still serving on the District Council) is wearing a blue coat. Magnolia Road dates from sometime between 1897 and 1923. As I mentioned on another page it was previously named York Road in the 1930’s, then later in the 1950’s and into the early 1960’s it was York Road West. It is described on the 1960 25inch O/S map as: 'York Road (West) (Grass Road)’. The factory is not on the 1939 map but it is on the 1955 map. In December 1969 J. Scharf Ltd. a supplier of picture frames and mouldings had a registered office listed as at Magnolia Road in Rochford. Another factory on the Magnolia Road site was one making mouldings. These came in all shapes and sizes, were made from wood and were for building purposes and picture framing. I think the business moved to Purdy's estate later on. The kennels, if I remember rightly, was also where stray dogs were taken for re-homing. We had two lovely dogs from there back in the early 1980s.